Traditional shirt in green. 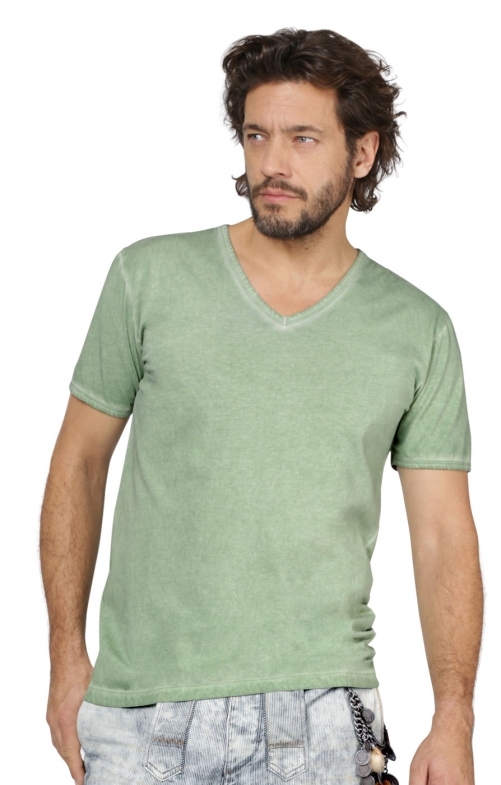 A comfortable and versatile piece, this light green shirt can be worn in a variety of outfits and will always look great. The colour will compliment any skin tone, and the V-neck style suits a range of ensembles for any occasion, not just Oktoberfest. Made purely from cotton, this high-quality shirt features a Stockerpoint logo tag on the side seam and is cut longer for a flattering look. Team it with denim Trach shorts or trousers for a casual approach to Oktoberfest.